Only 3,153 units were sold in the US in 2017. The Hyundai Santa Fe sold nearly three times that in its worst month that year. Needless to say, the was not very popular, although it was an excellent all-around premium large sedan. 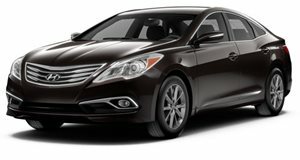 Offering some of the fiercest competition to the Toyota Avalon and Buick LaCrosse, the Azera’s time in the US began in 2005, serving as the automaker’s largest sedan for a few years until the arrival of the first generation Genesis. In its home market of South Korea it’s called the Grandeur, and it’s extremely popular there. We witnessed this first hand during our time in Korea late last month for the Kia K900 launch. Considering its popularity, we wondered whether it could have a second chance in the US, assuming it’d be redesigned. A high-level source from Kia North America told this writer they heard the Azera will, in fact, return to the US, but an exact date could not be confirmed. So we reached out directly to Hyundai North America to seek comment based on what we were previously told. Jim Trainor, director of public relations for Hyundai Motor America, told us via email that “Nothing has been announced yet” regarding the Azera’s potential US market return. His reply was not an outright denial, nor was it a direct confirmation, but it does clearly suggest Hyundai is at least considering an Azera comeback. 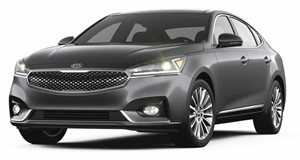 Given its previously low sales numbers and the fact its corporate twin, the Kia Cadenza, is still alive and well (and selling decently enough with 7,249 units sold last year), we can see why Hyundai is debating the subject. On the one hand, the Azera could potentially sell better if it were marketed properly. Then again, Hyundai could be somewhat fearful the Azera would still ultimately fail to find its place given the launch of the Genesis brand. Still, the Azera is built on a front-wheel drive platform whereas all three Genesis vehicles, the G670, G80 and G90, are RWD-based. Large sedan sales are continuing to drop, and some, specifically the Ford Taurus, are nearly deceased. Heck, even the mid-size Fusion is also set to be discontinued. But Hyundai must see something in the segment Ford doesn’t if it’s even considering bringing back the Azera. We’ll just have to wait and see what Hyundai decides.